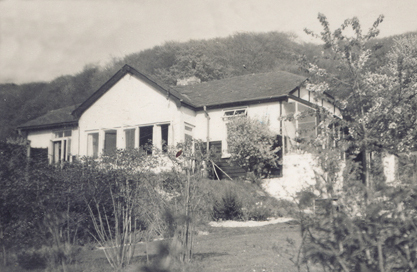 Herbert and Ivy Musgrove's bungalow 'Cop End' is shown above from the time they lived there and the present day. 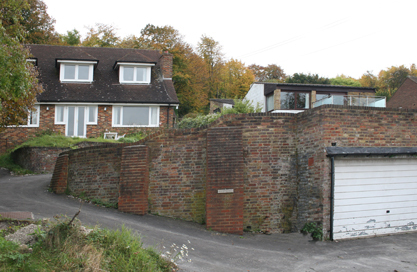 It has been completely rebuilt with no trace of the orginal except the name now spelt as 'Kop End'. A family visit for Ivy's birthday in August 1952 is shown below. 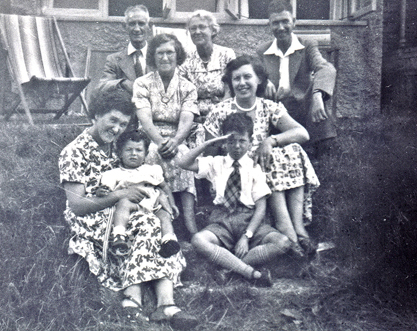 Pictured sitting on the terrace are (left to right) Herbert Ivy and Herbert Harris, in front of him his wife Dorothy, to her right Adelaide Jewell (Herbert Musgrove's sister) and in front of her her daughter Ruby Buck. Ruby is holding her youngest son Robbie his brother john is saluting. 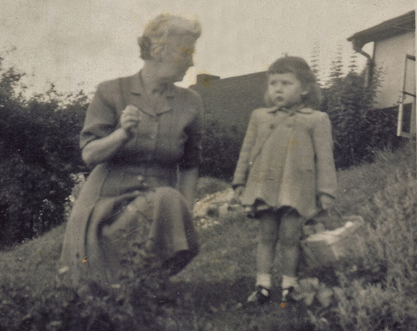 Pictured right from 1953 is Ivy with her grandaughter Susan on the terrace in front of the bungalow.